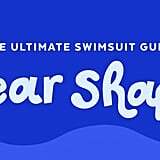 To end stressful and frustrating swimsuit shopping this year, we rounded up a list of stylish and flattering picks that are perfect for you. From curvier frames to athletic body types, we're helping to make sense of the endless swimwear options and narrowing them down to the choices that were made to fit and flatter your frame. Want to know what you should be looking for? 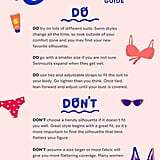 Read on to get the experts' dos and don'ts, find your perfect suit, and never hate bikini shopping again! For even easier shopping, click the link ahead that matches your needs"